Leonidas Kavakos conducted the BSO through a crisp, stylish Prokofiev. The Greek violinist Leonidas Kavakos is one of the most comprehensively gifted instrumentalists of his time. His playing combines a sweet, singing tone with virtuoso technique and penetrating intelligence. Given his talents, one might wonder why Kavakos has lately spent much of his time carving out a career as a conductor. But he has said that as a child he dreamed first of conducting, and that his most natural sense of himself as a musician comes when he leads an orchestra. 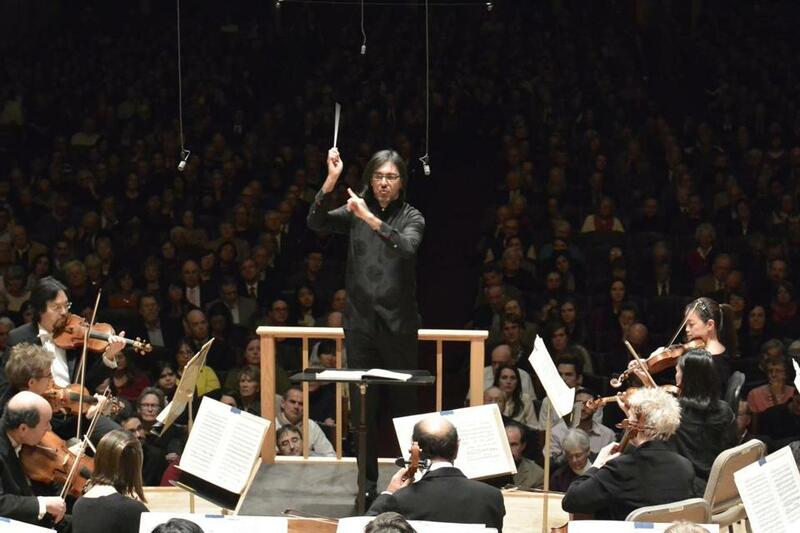 On Thursday, Kavakos began his second conducting stint with the Boston Symphony Orchestra. On the bill were Prokofiev’s “Classical” Symphony and Schumann’s Second Symphony, with Kavakos playing the dual roles of soloist and conductor in Mozart’s Fourth Violin Concerto. A somewhat unadventurous program on paper, it provided an apt barometer for his podium development. That Kavakos had established a sympathetic rapport with the orchestra was clear from the Mozart, a piece of effortless melodic flow. Kavakos directed with minimal gestures yet was able to sculpt phrases so that they emerged with unforced elegance. The refinement of the orchestral sound belied the small number of players on stage. Kavakos’s own playing was gorgeous, especially in the brief yet transfixing cadenzas of each movement. The Prokofiev was marvelous — crisp, stylish, and filled with an irreverent wit that Haydn, the Russian composer’s formal model for the piece, would have appreciated. Kavakos’s tempos were quick and he achieved a textural transparency that gave the winds a vivid, punchy presence. The first violins got a solo bow for their treacherously high passages in the second movement, and the breathless finale could have served as a master class in rhythmic precision. The Schumann was a bigger challenge, and less successful. In contrast to the reduced forces of the first half, there were, by my count, 60 strings on stage. They gave Kavakos a tonal heft he clearly wanted, but with it came a loss of some of the lucidity he had attained earlier. The more acute problem was the performance’s emotional reticence. The Second is Schumann’s most anguished and vulnerable orchestral work, yet Kavakos seemed unwilling or unable to plumb its expressive depths, even the intense melancholy of the slow movement. And large stretches of music went by without much sense of an overall shape or plan. This is the moment when the shadows are finally vanquished, and from that point on, the performance built inexorably to its triumphal conclusion. Oboist Keisuke Wakao, flutist Elizabeth Rowe, clarinetist Thomas Martin, and timpanist Timothy Genis were all deserving of the solo bows they received.